Dopapod —(from left) Eli Winderman, Rob Compa, Chuck Jones, and Scotty Zwang — performing at the Sinclair in 2015. 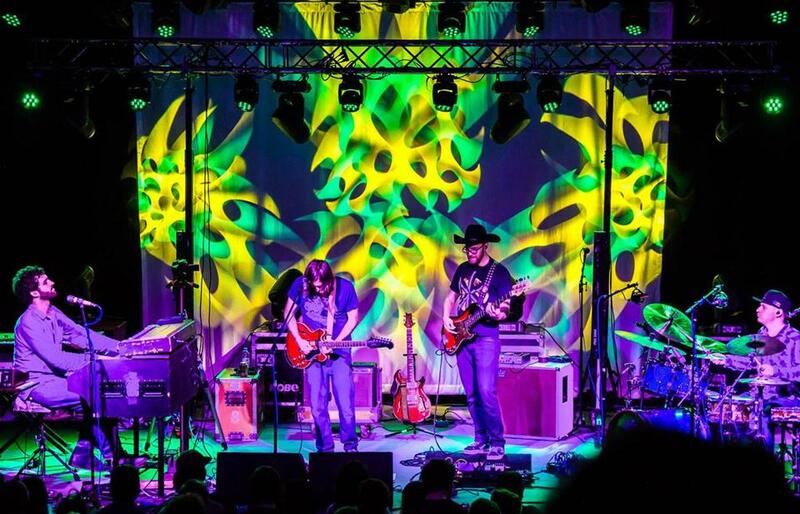 As it did last year, Dopapod will again wrap up a spring tour with three nights in Cambridge, playing the Sinclair Thursday through Saturday. This visit comes on the heels of a breakthrough year that saw the band, which first assembled at Berklee College of Music, reach a series of heady milestones. It played its first West Coast shows (aside from a previous visit to the High Sierra Music Festival in Quincy, Calif.). In a pinch-me moment, the group played Red Rocks Amphitheatre in July, opening for the String Cheese Incident — one of the most popular groups of the jam-band era — on that band’s home turf of Colorado. And Dopapod’s first appearance at the Bonnaroo Music Festival offered a euphoric seal of approval. A formative moment came in 2009 when Dopapod landed a spot on a compilation put out by the in-house Berklee label Jazz Revelation Records. Paced by Winderman’s organ, the track drips with influence from funk-infused Berklee predecessors like Lettuce. Since then, Dopapod’s sound has grown more cosmic, reflecting many of the influences common in the scene: classic rock, jazz, EDM, some splashes of reggae. By 2010, Compa says, the band went on the road full-time, and has seldom paused for breath. After a cathartic New Year’s Eve show at the Palladium in Worcester last year (followed by a late-night, post-Phish show at New York City’s Gramercy Theatre two nights later), the group got some enforced down time by scheduling a three-month break. They spent half of it working on new material. A handful of new songs emerged and have gotten a workout on the present tour, which is organized around a series of multi-night stands. Beginning with three shows in Denver, it’s included back-to-back shows in Columbus, Ohio, and Asheville, N.C., with a weekend stay in Philadelphia preceding the Cambridge three-fer. Settling in at a venue gives the group a more open hand to improvise, aware that its jam-hungry fans are seeking a unique live experience each night. Only one song was repeated during last year’s run at the Sinclair — not including in-show reprises. It tracks closely to Pink Floyd’s studio version (which, for those scoring at home, clocks in at 23½ minutes) for about 18 minutes, before wandering off into Dopapod land. There’s a full half-hour of improvisation before the tune’s hazy, enveloping groove returns to close things out. Far from the series of solos over a vamp that a less-accomplished group might attempt, the jam moves through several phases reflecting the different colors of the band’s sound, with a sense of purpose and intent throughout. It’s the sound of a band feeling comfortable, and confident its fans are ready for anything.